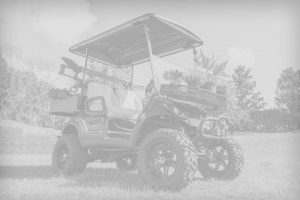 Nivel Parts, the largest distributor of aftermarket golf car parts in the world, rolls out their 2007 parts catalog. The big book of parts weighs in at just over 5 lbs and contains 770 pages including an eighty page color section and a 104 page parts index. It features a greatly expanded accessory section, twice the size of the 2006 offering. The section features flip flop seat kits, four passenger kits and cargo boxes to name a few items. A new sub section of motor and controller combinations, as part of the color accessory pages and a motor and motor parts section now included in the controller section. The tire section is completely redone and contains tables for every tire and wheel combination available. There are a lot of reasons to spend some time looking over this new catalog, you will find new and interesting items. Items with prices no other supplier can match and all stocked in a warehouse that is only three days ground freight from your door. So if you have not seen the cover of the 2007 catalog in your mailbox yet give us a call. This is one tool you want to have. CARY, N.C. – During this year’s Golf Industry Show, John Deere Golf & Turf One Source™ announced its top territory manager, Greg Goudeau, and its distributor of the year, Georgia Turf & Tractor. The top territory manager is chosen based on internal criteria, including new and used equipment sales, parts sales, asset management, and distributor participation in company initiatives. “Success is really a team effort,” said Goudeau, citing his distributors and their staffs, One Source partners, and the John Deere staff in Cary as critical contributors. The Mark Rostvold Award, named for the former senior vice president of the Worldwide Commercial & Consumer Equipment Division, is given each year to the golf and turf distributor who illustrates superior salesmanship and industry dedication. The award is based on a number of factors, but focuses mainly on equipment sales, parts sales, participation in company initiatives and asset management. The sales team from Georgia Turf & Tractor accepted the Mark Rostvold Award for top distributor of the year at the 2007 Golf Industry Show in Anaheim. From left to right: Dane Hanger (owner, Georgia Turf & Tractor); Allen Weed (salesman, Georgia Turf & Tractor); Steve Marlor (salesman, Georgia Turf & Tractor); Jim Langston (regional sales manager, One Source); Gregg Breningmeyer (director of sales and marketing, One Source); Tim Boles (salesman, Georgia Turf & Tractor); and Tom Flick (owner, Georgia Turf & Tractor). Please forward all sales inquiries to John Deere Inquiry Department, P.O. Box 13603, Research Triangle Park, NC 27709, call 1-800-537-8233 or visit www.JohnDeere.com. CHARLOTTE, NC – Jacobsen, a Textron Inc., company announced that Ralho Nicotera has accepted a new position with the company as vice president of sales. Nicotera combines an extensive background at Jacobsen with a wealth of successful sales and management experience. In his new role, Nicotera will manage all sales-related activities in the Americas and Asia Pacific. He will also be responsible for Jacobsen’s National Account, Turf Direct and Sales Support organizations. Nicotera has been with Jacobsen for more than 30 years, beginning his career in 1974 as a sales and marketing administrator. Since then, Ralph has held a variety of leadership positions in sales, dealer development, marketing and product management, serving most recently as vice president of market development. Additional information is available at www.jacobsen.com. 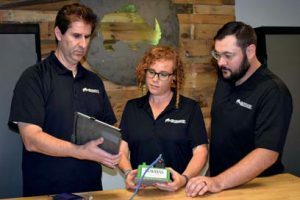 East Penn Manufacturing has recently added a new battery cleaning spray to its extensive line of battery accessory products. This cleaning spray penetrates, loosens, and neutralizes surface acid and corrosion deposits, and has an indicator that shows any residual acid that may remain on the battery surface. When sprayed, the cleaning agent originates as a yellow color. As it detects acid, it leaves a pink-foam indicating where the acid is present. After additional applications, the user knows that the battery is free of acid residue when the spray remains yellow. Battery cleaner spray helps reduce voltage leakage due to impeding contaminants optimizing current flow, performance, and service life. The acid indicating feature provides added safety ensuring that the battery is clean and completely free of any potentially harmful residual acid. For more information contact East Penn Manufacturing Co., Inc., Lyon Station, PA 19536 or visit www.dekabatteries.com. Jupiter, Fl. – Four of the leading sports trade associations have partnered to complete the largest online study of sports participation in the United States. This year’s study has been done as a joint effort of the newly formed USA Sports Participation Study, a collaboration of sports associations that have been doing participation research separately for a number of years: Sporting Goods Manufacturers Association, National Golf Foundation, Snowsports Industries America and the Outdoor Industry Foundation. NGF began conducting golf participation research with Synovate (formerly Market Facts) in 1986 and has been doing so ever since. The 2007 research was conducted via the Internet, after many years of fielding via mail surveys. This year’s sample of 60,000 individual surveys is the largest NGF has ever conducted, and was made possible by joining the partnership. Plans call for 60,000 more surveys to be added each year so that, as time goes by, the study will yield the largest and most useful database of golf participation, enabling analysis at ever smaller levels of geography. As in the past, NGF has the ability to recontact specific groups of golf participants such as frequent golfers, females, juniors, lapsed players, etc. for follow-up research. NGF clients will have the ability to do PRIZM analysis, a lifestyle segmentation system developed by Claritas consisting of 66 unique marketing segments intended to help marketers better understand and target their customers. The results of the golf portion of the study will be published in May in Golf Industry Report, NGF’s quarterly newsletter. Topline results for all sports will be available by the end of April at www.sgma.com. For more information on the National Golf Foundation plase visit www.ngf.org.